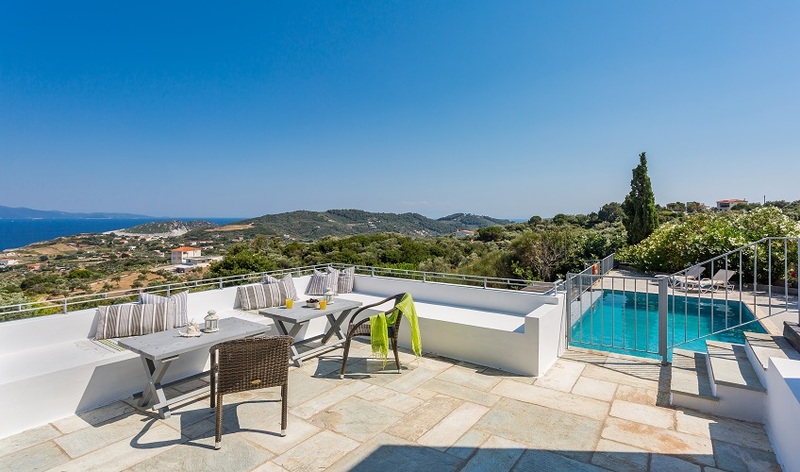 Just two kilometres from the hustle and bustle of Skiathos town is the quiet residential area of Kalivia. 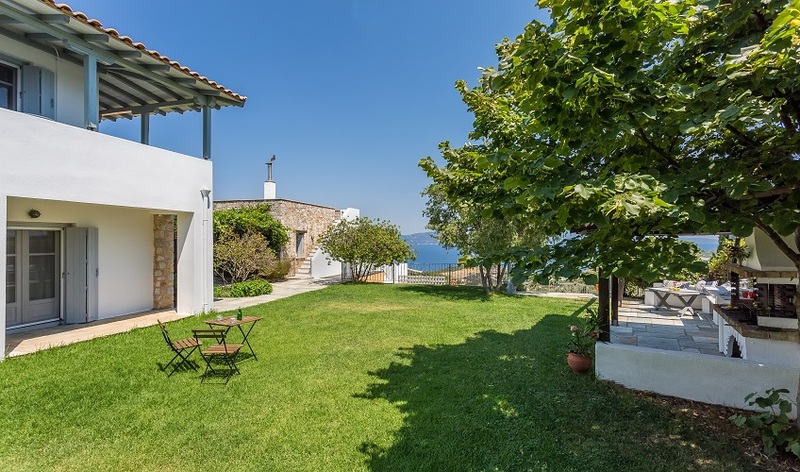 Its location gives you easy access to the tavernas and atmosphere of the town and to all the popular beaches. 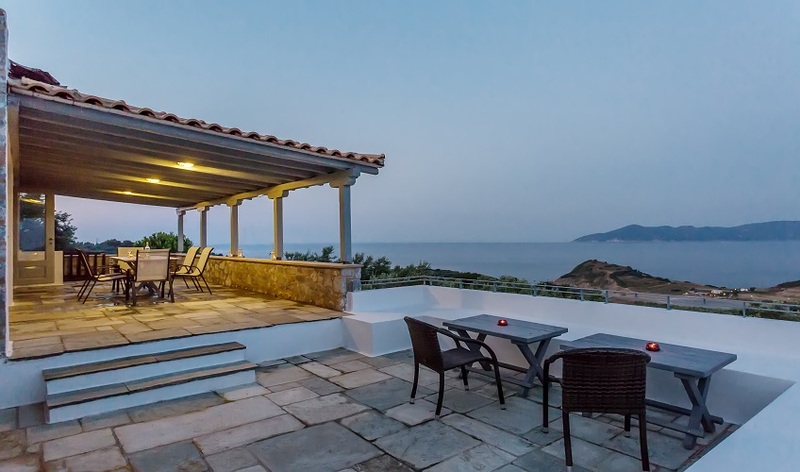 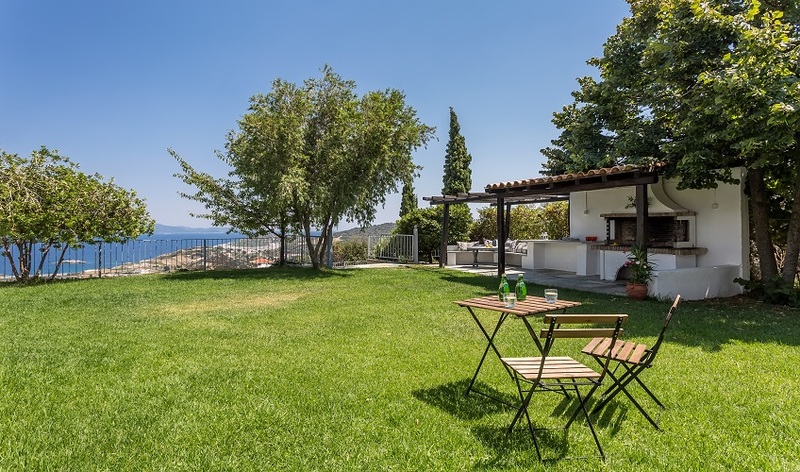 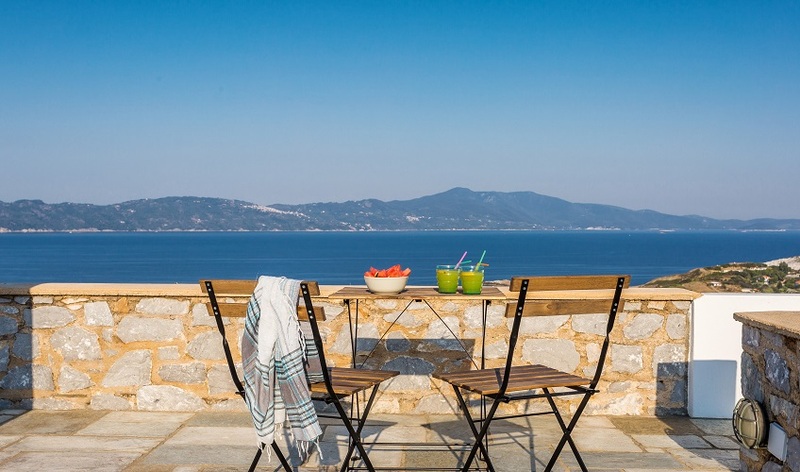 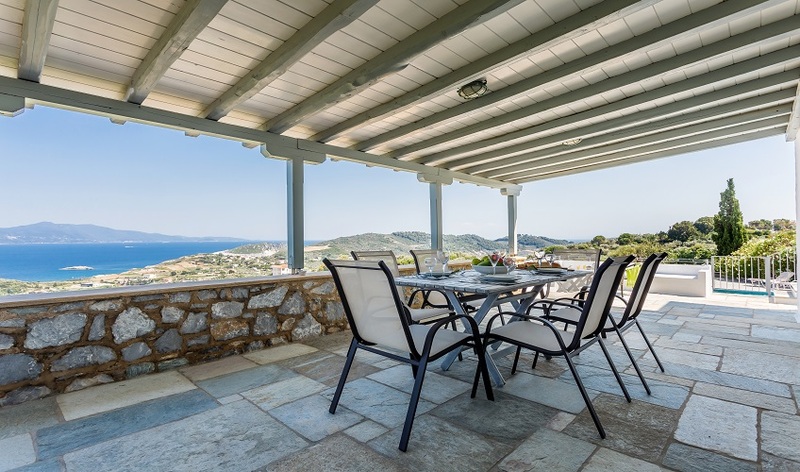 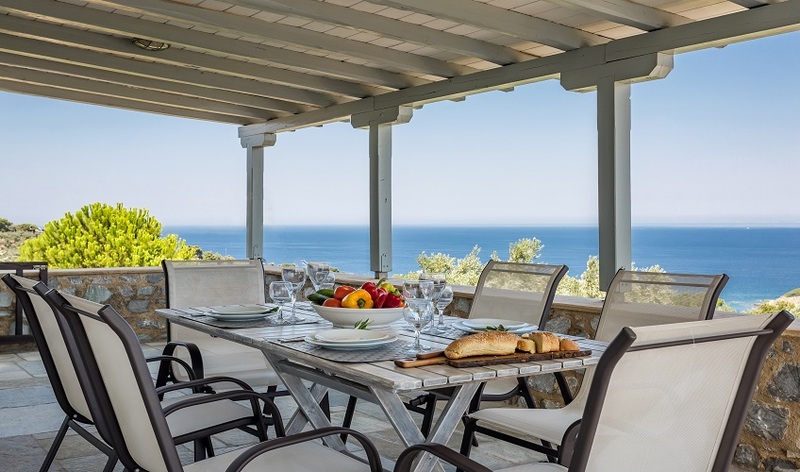 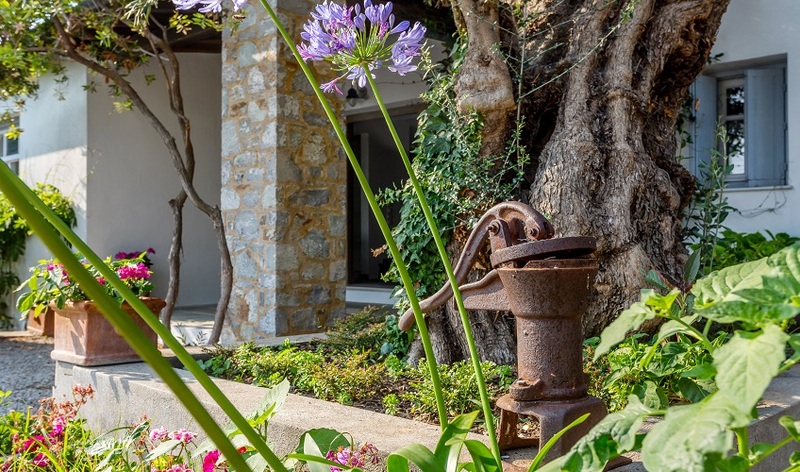 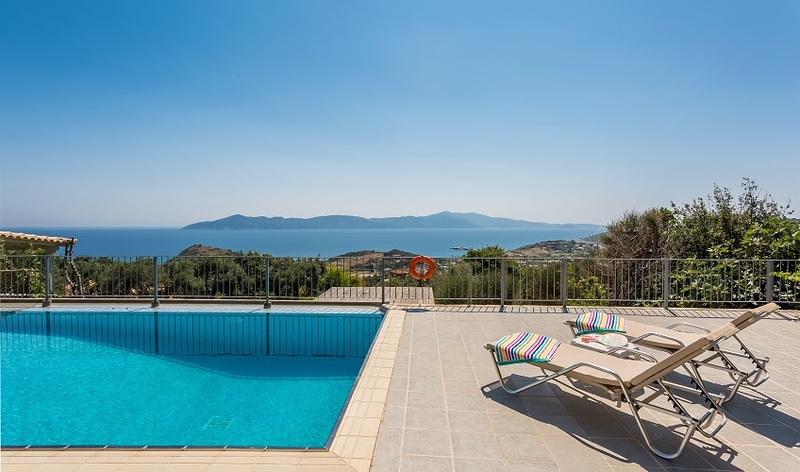 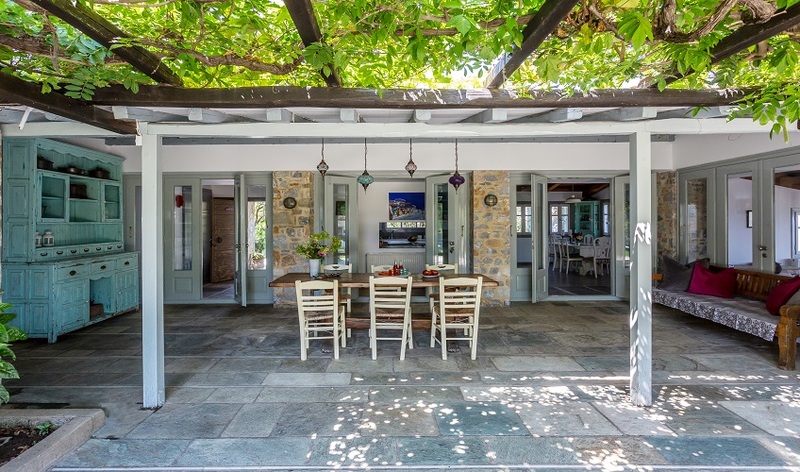 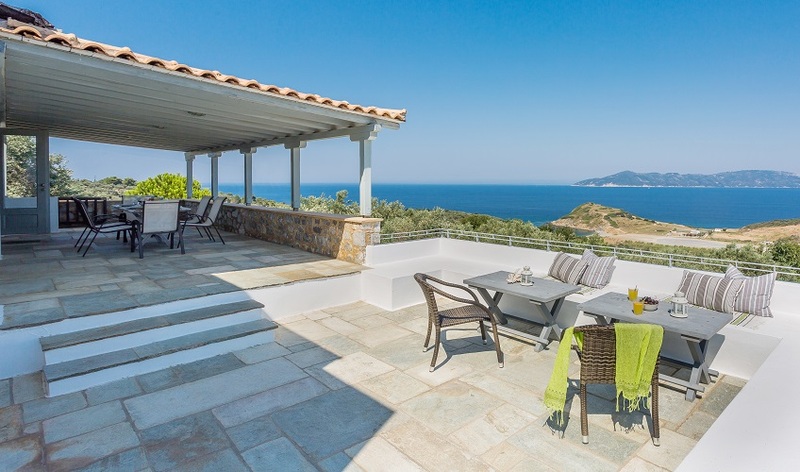 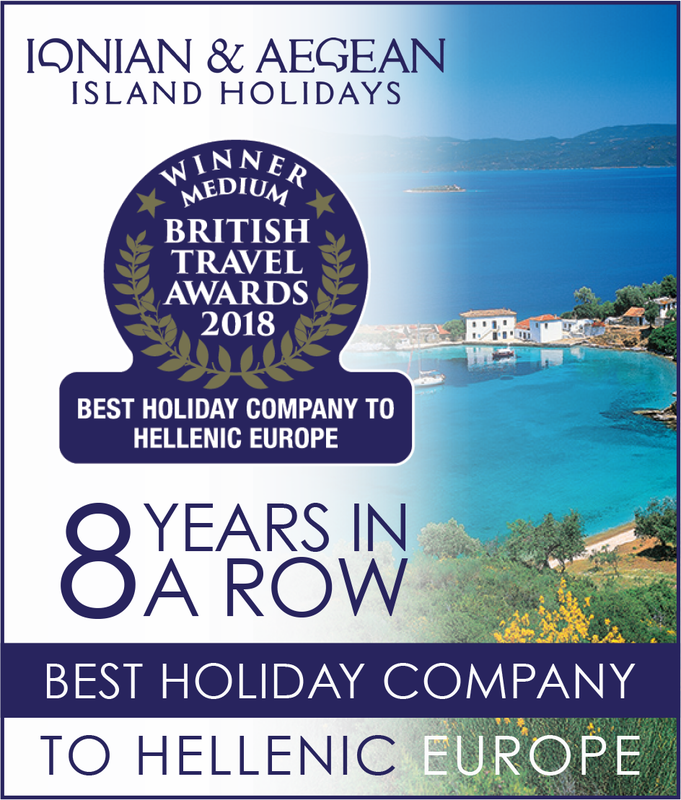 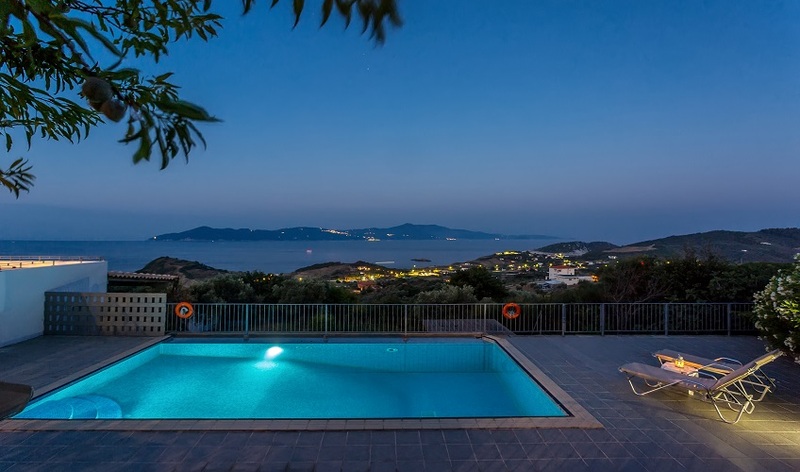 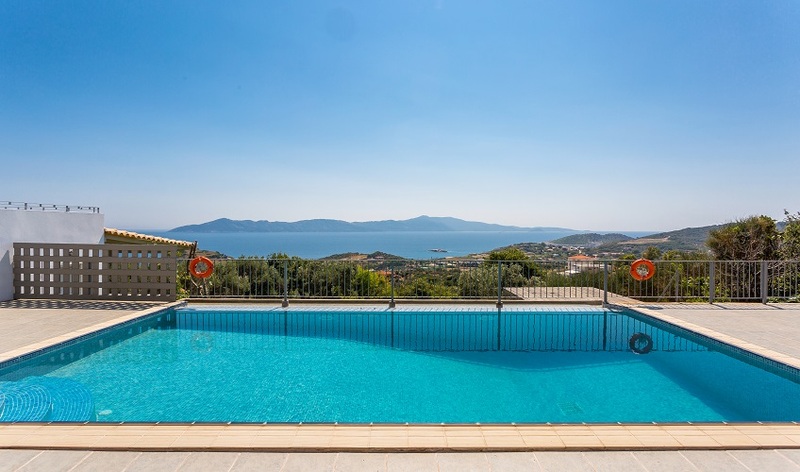 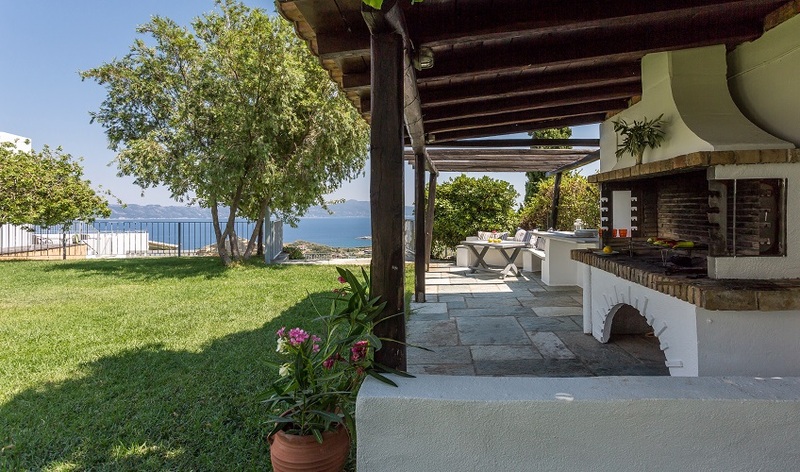 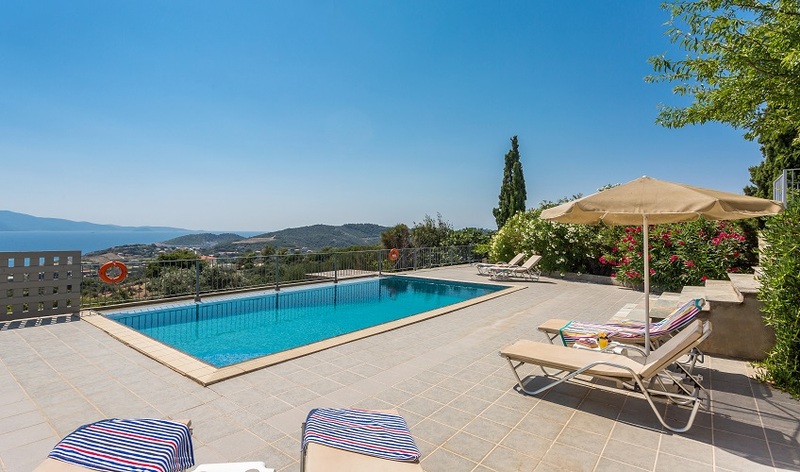 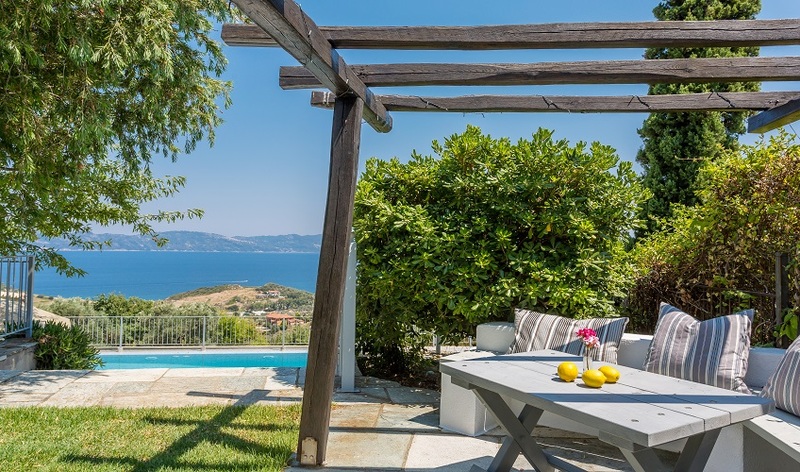 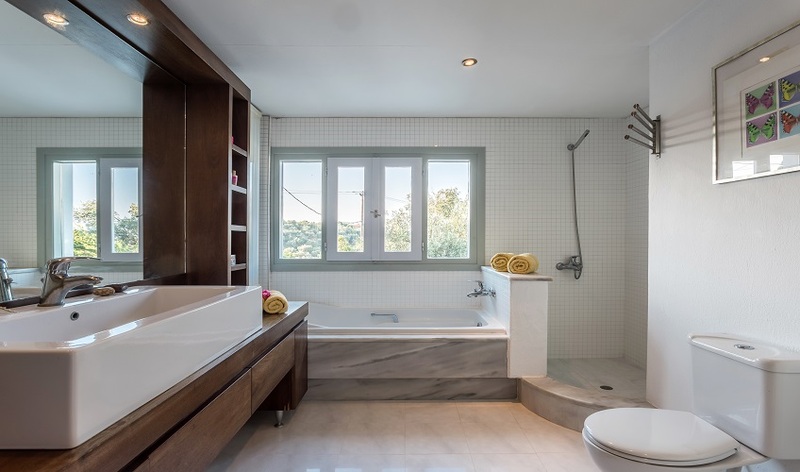 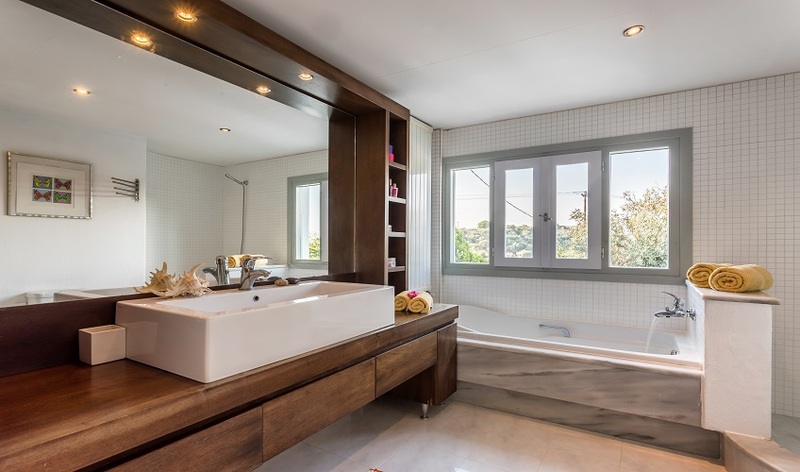 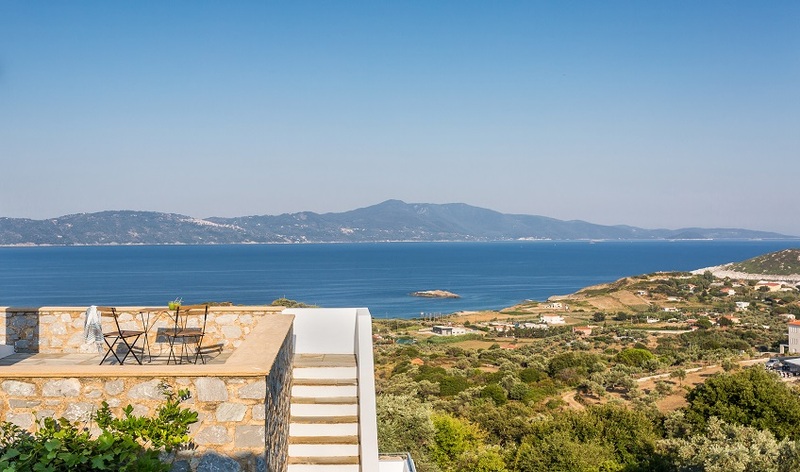 Villa Amanda has been built in one of the best locations on the island, with views over Xanemos beach and across the Aegean Sea to Skopelos where the lights of Glossa twinkle at night in the distance, Mount Athos on Halkidiki in the North is visible on a clear day. 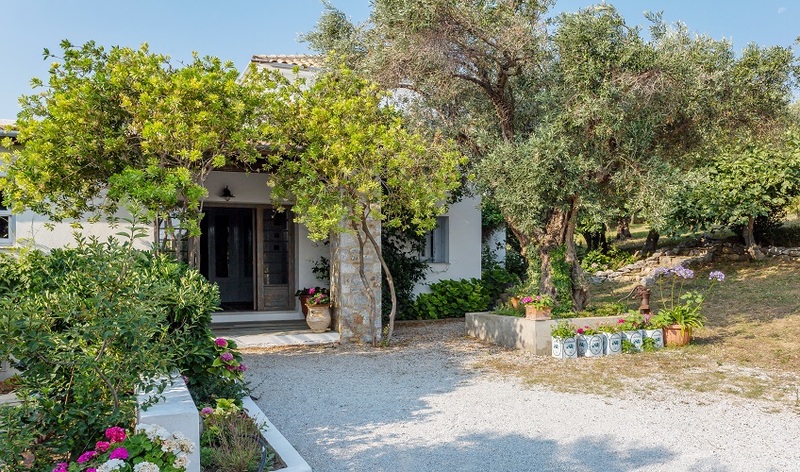 The villa is set in beautifully unstructured gardens of olive and fig trees, wild rosemary, pomegranates and hibiscus. 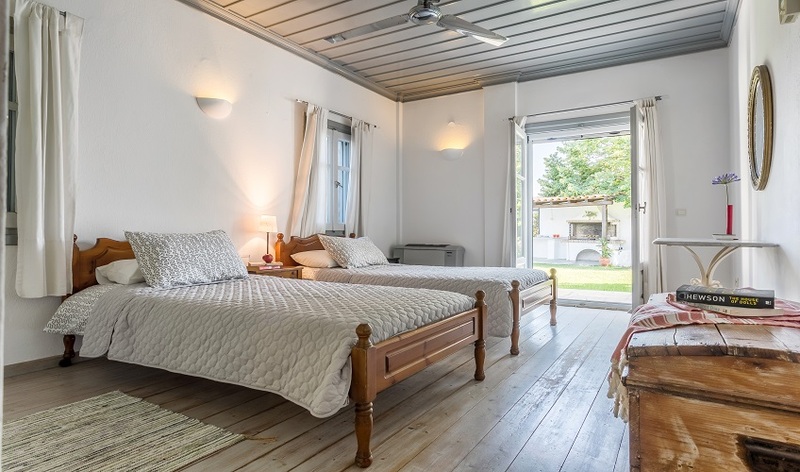 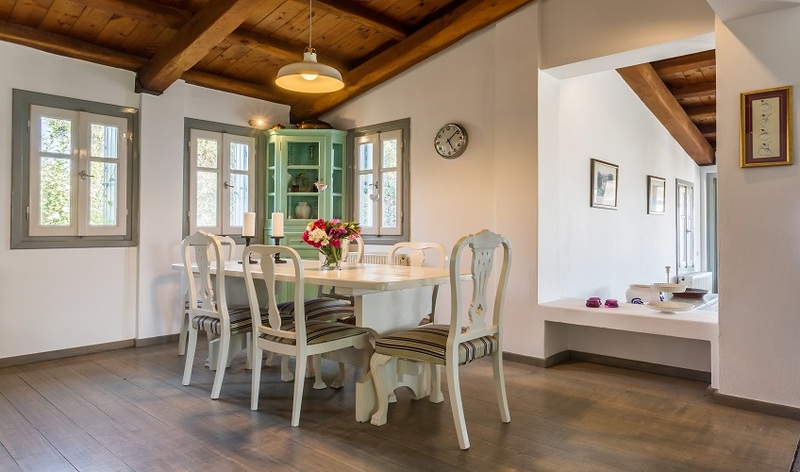 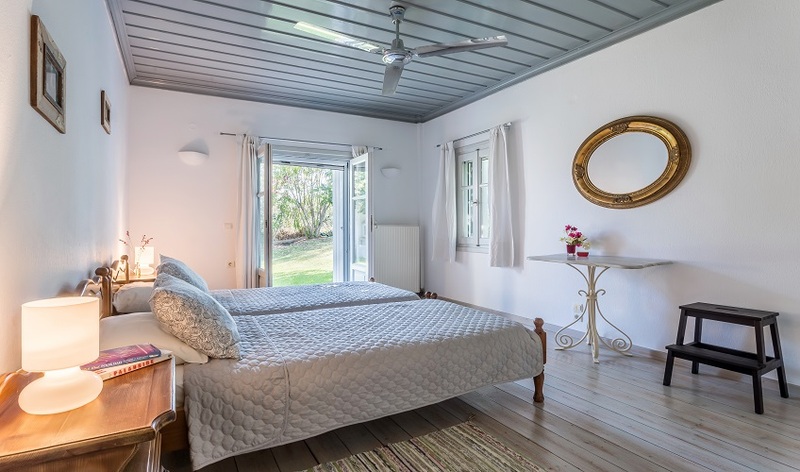 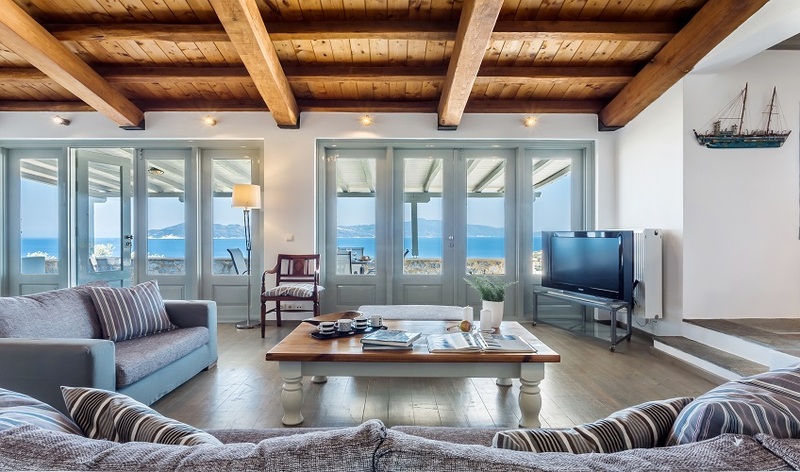 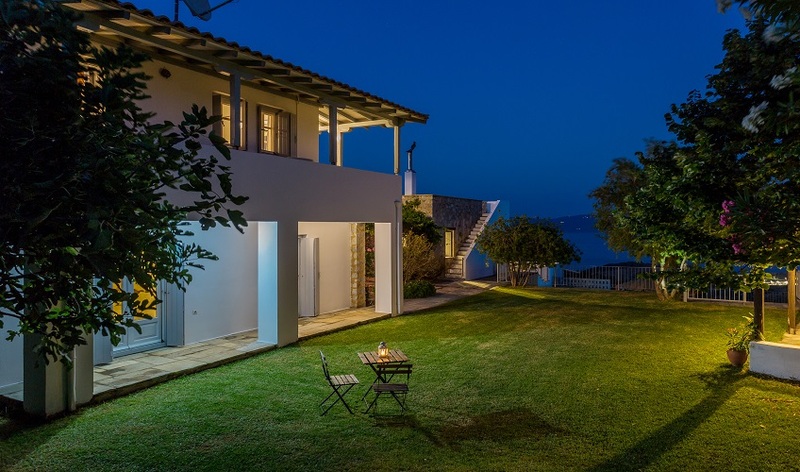 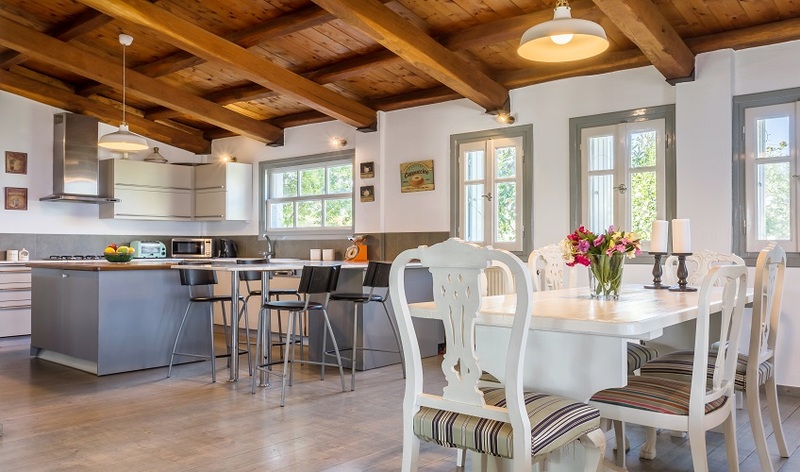 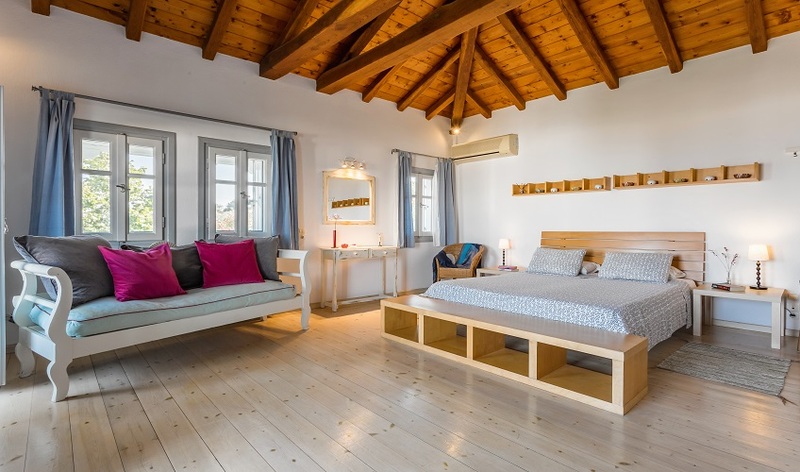 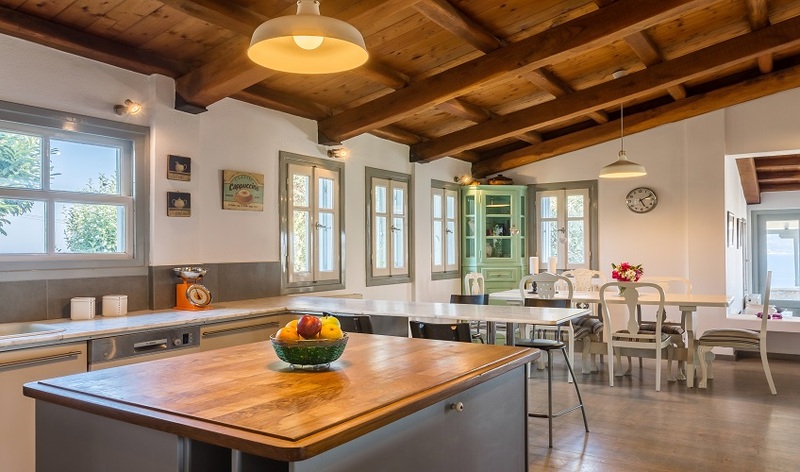 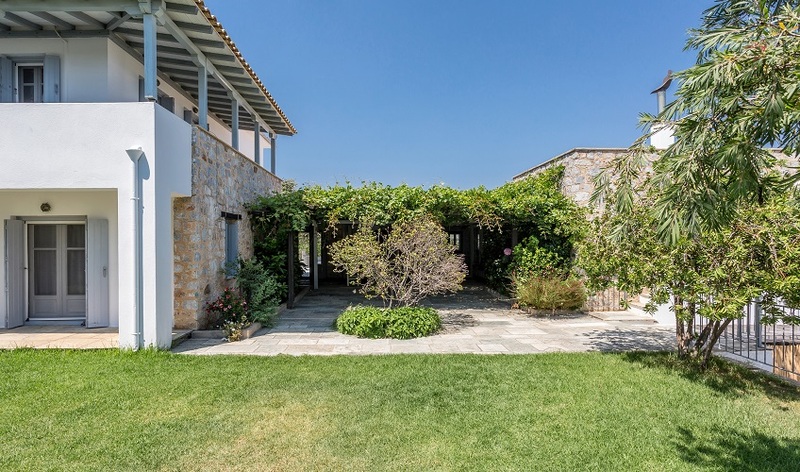 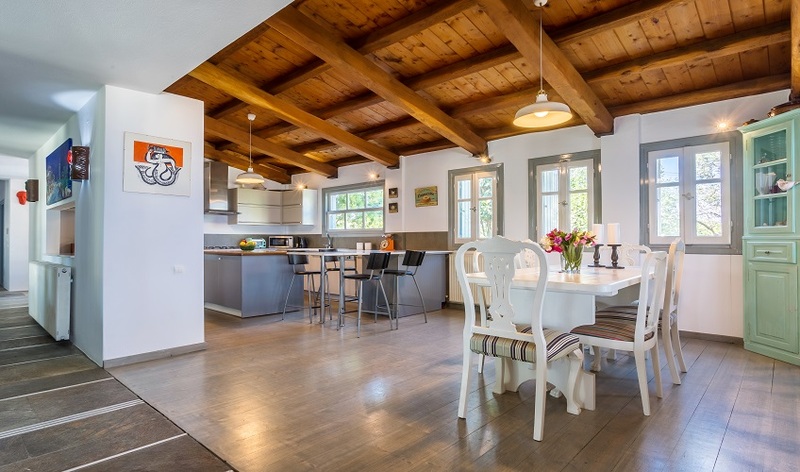 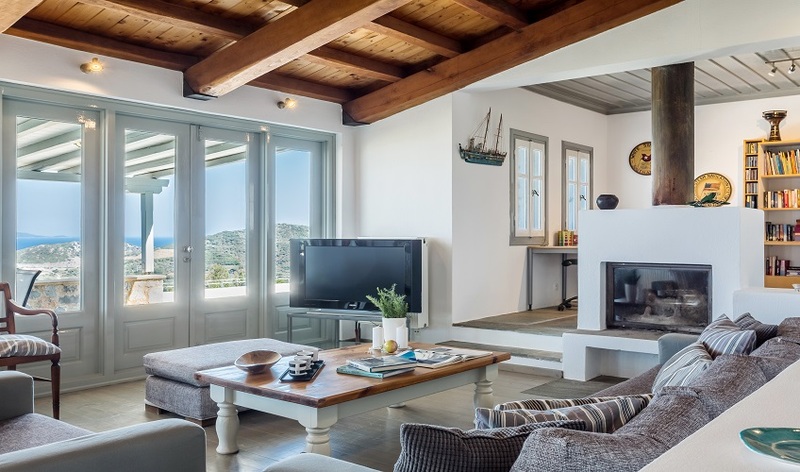 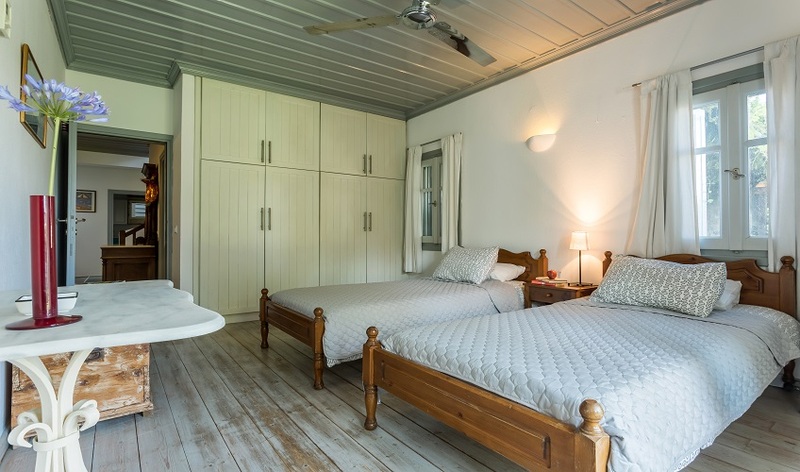 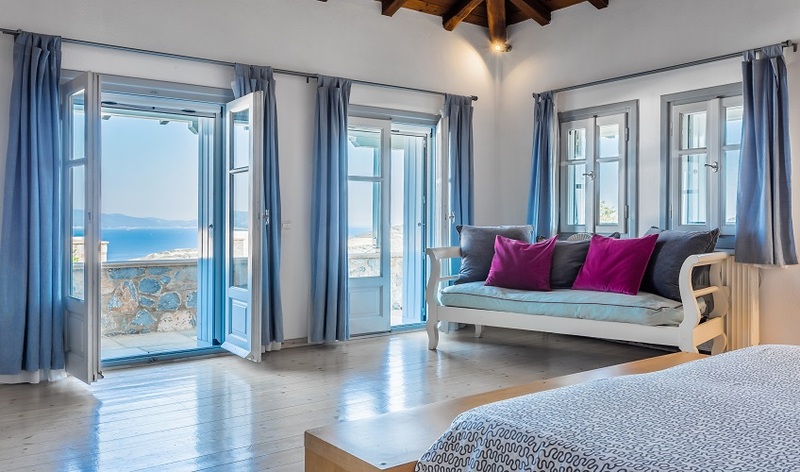 Villa Amanda is impressively designed, with wonderful wood beam ceilings, local flag stone, marble and wooden floors in the bedrooms and sitting rooms. 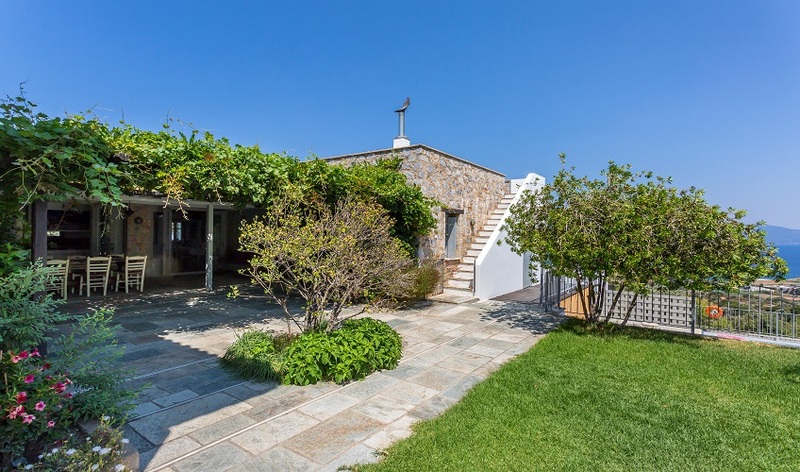 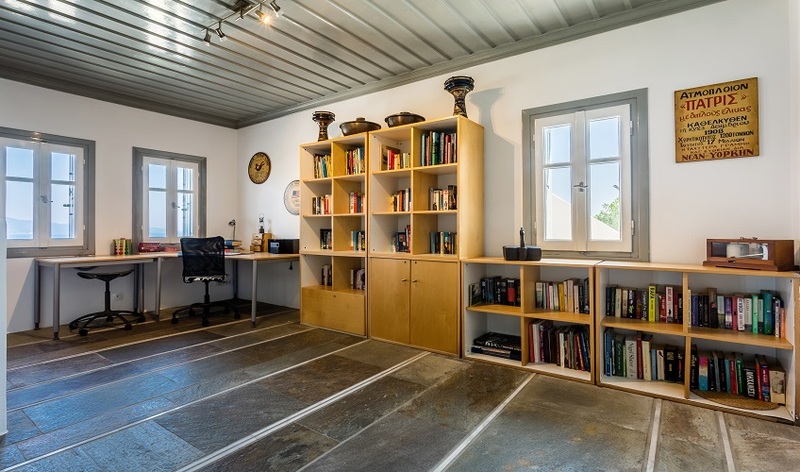 The house is built over two floors in an unusual U shape. 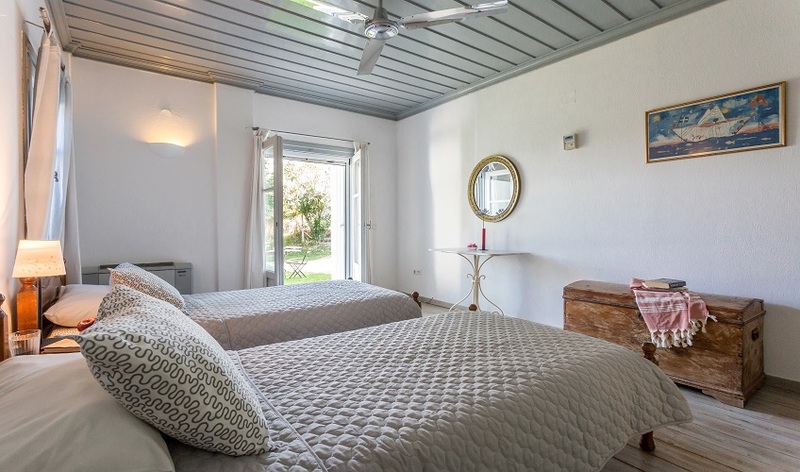 The upper floor has a large double bedroom with en suite bathroom surrounded by a private balcony. 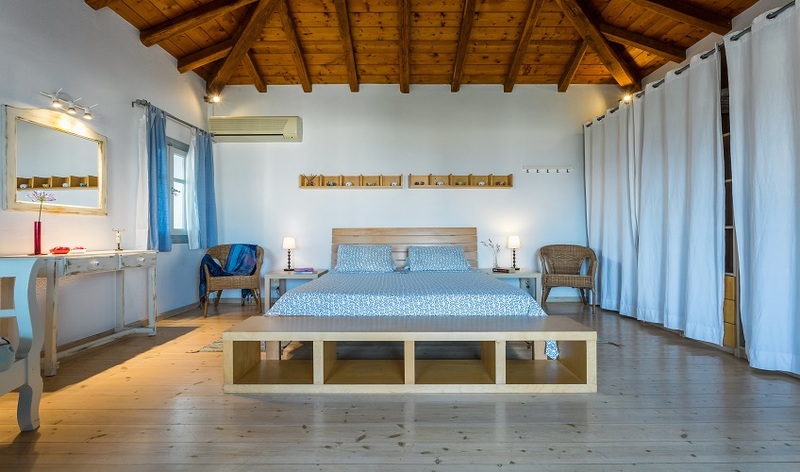 The position of the villa benefits from the cooling northwesterly breeze, air conditioning is in the upper double bedroom only. 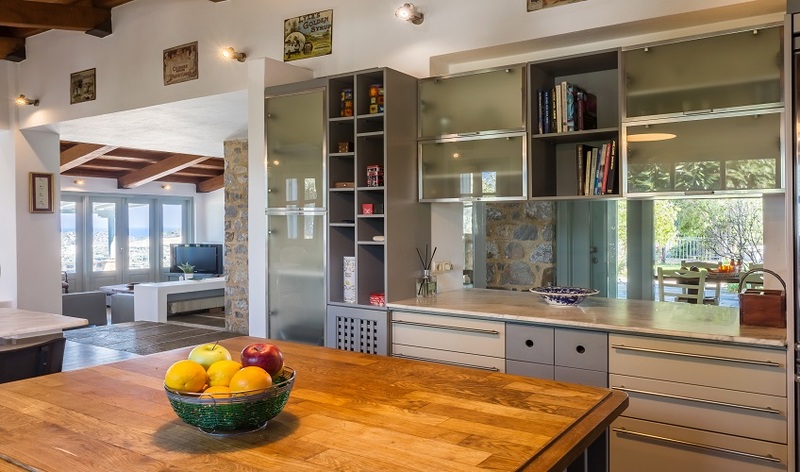 The ground floor has a well equipped kitchen, two twin bedrooms, a further bathroom and a laundry room. 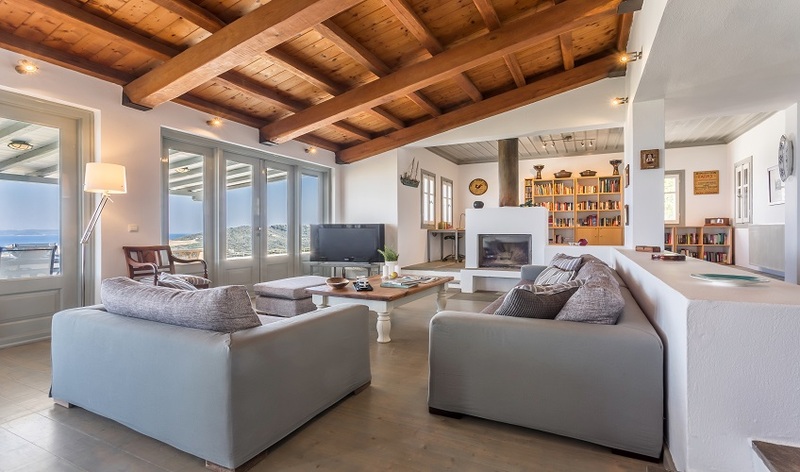 The large living room has a beautiful fireplace and access to the spacious covered terrace outside. 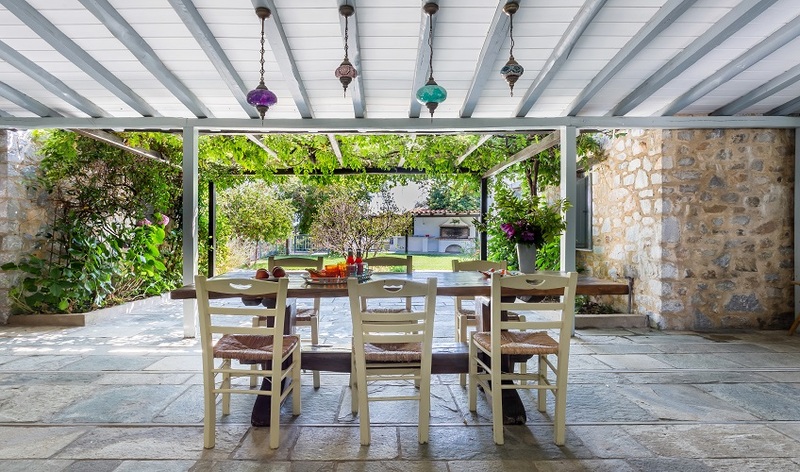 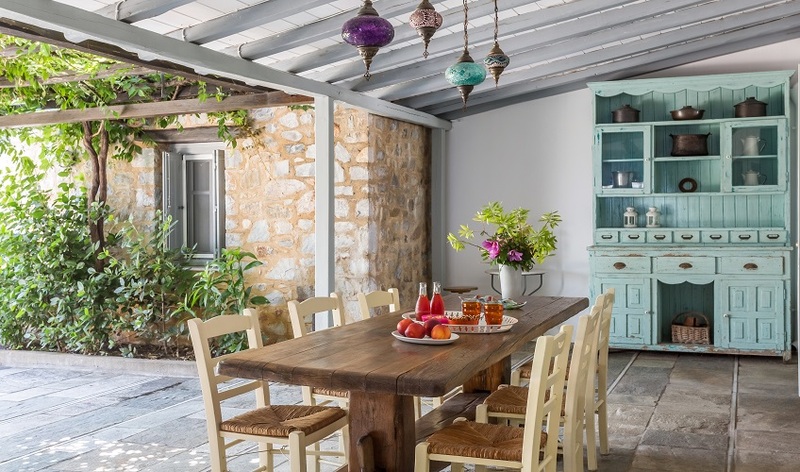 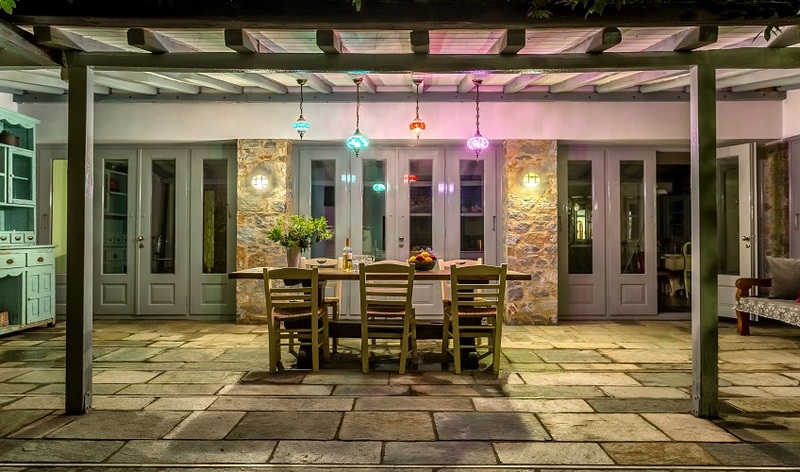 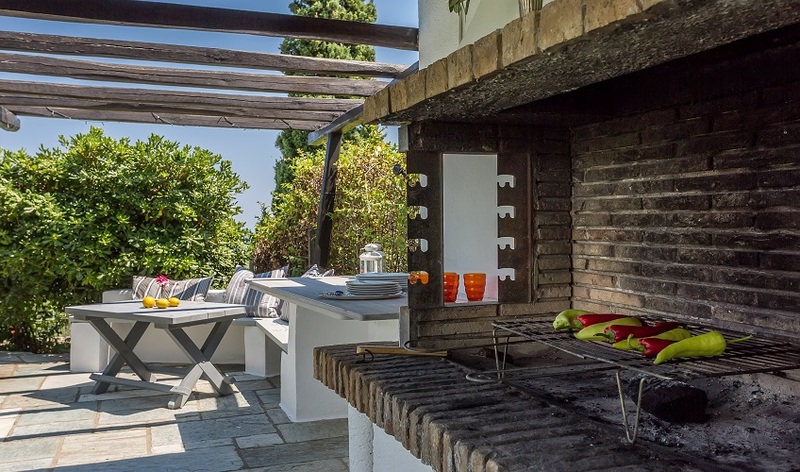 The villa also impressively caters for dining at home with its barbecue area that overlooks the pool. 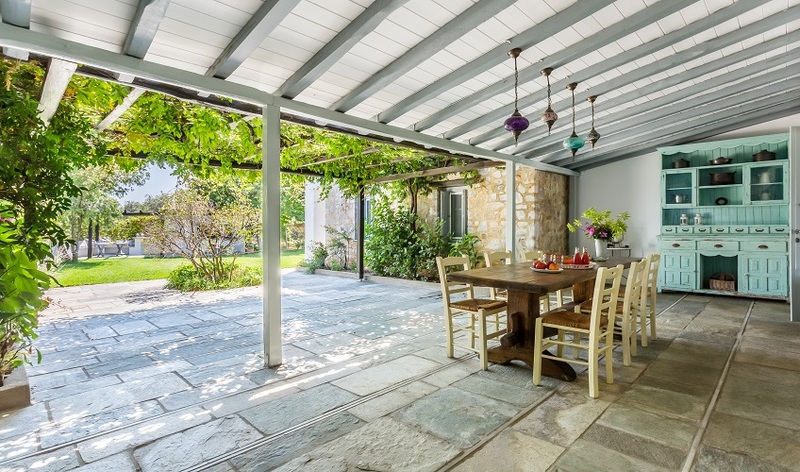 With a covered dining area in the middle courtyard and also a further dining area on the front terrace. 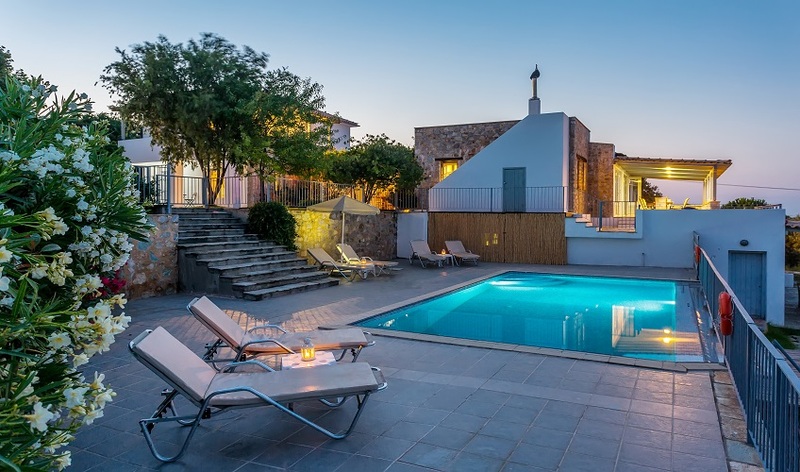 The pool terrace is on a lower level and accessible by a few steps. 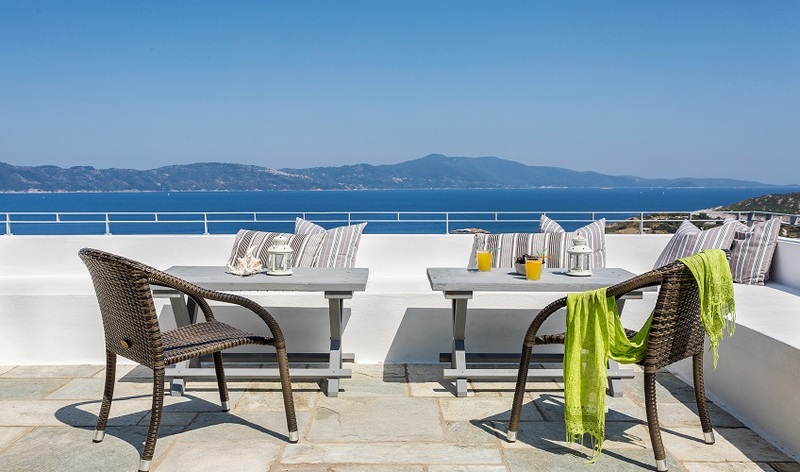 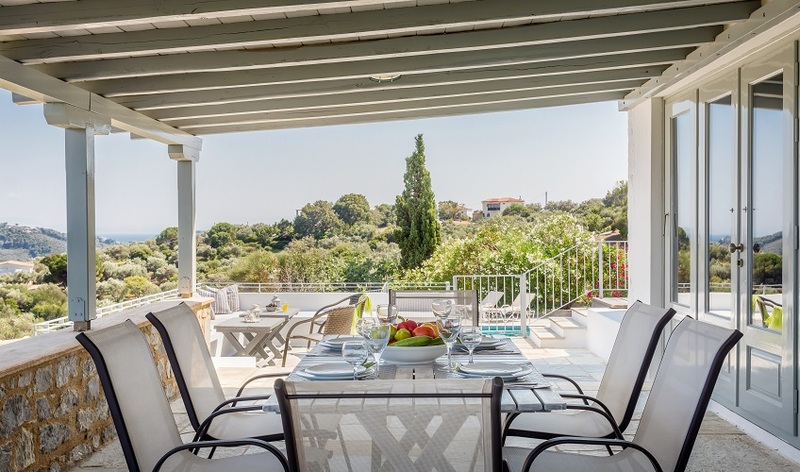 Villa Amanda is a wonderful holiday home, combining location and views with all the comforts you require.